This week was one of the most difficult weeks I can recall to choose a winner. Properties were selling their latest deals with loads of quality pics in tow. Listeners were vigilant and shared a bunch of great photos as well. So I had to go with the most unique picture I saw. It’s one of those pictures that captures that one angle you didn’t even know existed of places you thought you saw in every angle possible dozens of times. 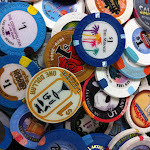 This week’s winner is @NeonVacation for a photo of a collection of Vegas Property icons. 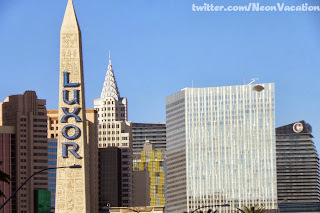 Starting south strip looking north, in one picture, he captured the Luxor obelisk, the Chrysler building and a few other skyscrapers at NYNY, Mandarin Oriental and Veer at City Center and Cosmopolitan. I loved the ironic juxtaposition of seeing an obelisk in the foreground of an iconic replica skyscraper and 3 other buildings designed and built in the 21st century. 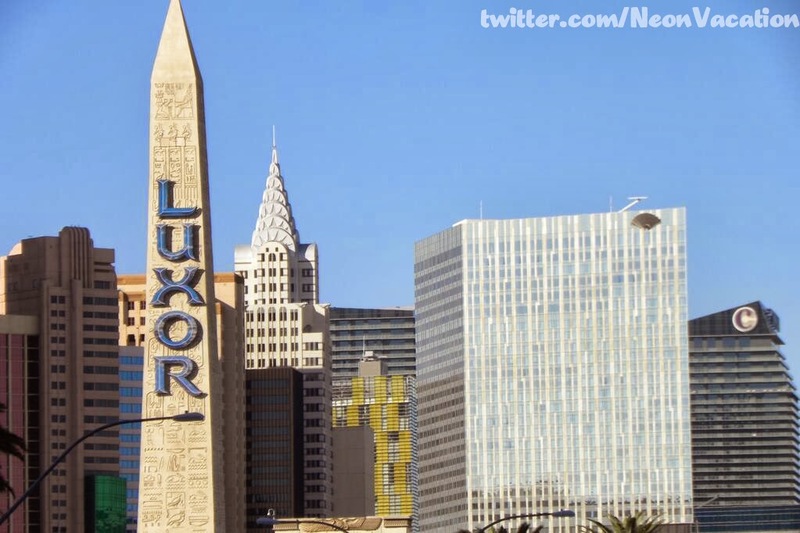 This picture is another example of why I love Las Vegas. No other place in the world can you see and enjoy so many unique experiences.